Dr. Keiichi Ogawa is a Professor/ Department Chair in the Graduate School of International Cooperation Studies at Kobe University in Japan, where he teaches human capital development and development management. His research interest lies in economics of education, education finance, and education policy/planning. His professional experiences include serving as Education Economist at the World Bank, Senior Advisor at Japan Bank for International Cooperation (JBIC), Advisor at Japan International Cooperation Agency (JICA), Consultant at Asia Development Bank (ADB), Inter-American Development Bank (IDB), UNICEF and UNESCO, and Advisory Committee Member at the Japanese Ministry of Education (MEXT). He has worked on development assistance activities in over 20 countries and has co-authored or co-edited four books and over 60 journal articles/book chapters. Many of them are issues related to educational development and cooperation in international settings. 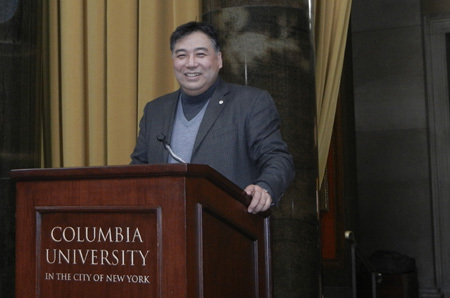 He holds his Ph.D. in Comparative International Education and Economics of Education from Columbia University.